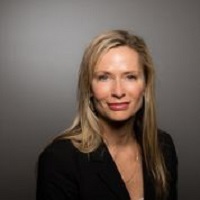 Microsoft Canada has hired a new director of sales – Patty Demarco, who has more than 15 years of experience in working with advertising and sales in the media industry. Last week, Demarco joined Microsoft Advertising, leaving her previous position as digital sales manager for Rogers Media. In her new role, she’ll be overseeing a team of seven or eight staff members, working to cement Microsoft Canada as a good sales opportunity for different advertising agencies and their clients. Patty Demarco, Microsoft Canada’s new director of sales. (Image: Microsoft Canada). “I just started … so I’ve reached out to clients I’m going to be working with,” Demarco said, adding she’s already familiar with some of her new clients as the number of agencies in Toronto is relatively small. Understanding Microsoft’s identity is important, Demarco added. Her background has involved working in sales for a number of media organizations. Besides Rogers, she has also worked for Canoe Inc., Postmedia Network Inc, and Mediative, as well as Sun Media. However, unlike those media outlets, which have traditionally focused on publishing and broadcast, Microsoft is purely bent towards digital strategy and tech, she said. And for the next month or so, she added she’ll be focusing on getting out into the marketplace and reminding people that Microsoft is a force in the advertising world. While Demarco is still getting organized and gearing up for her new role at Microsoft, she did have some thoughts about how women can take the helm when it comes to their jobs. “In the advertising world for digital, we have a great presence of women. Maybe it’s an industry where we’re very fortunate,” she said, adding it’s important to see women in leadership roles. For example, Microsoft Canada is headed by Janet Kennedy, she said.